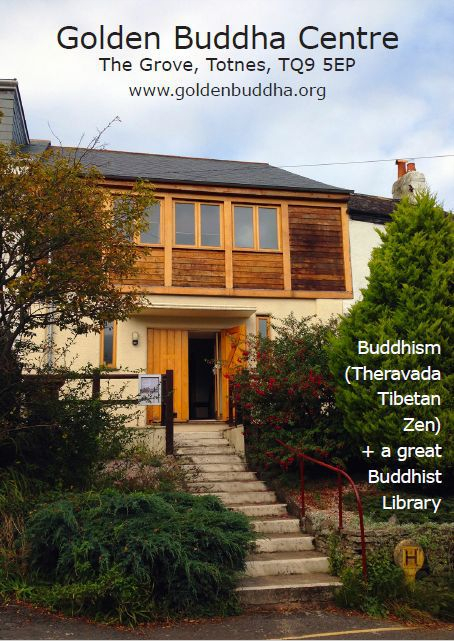 Many people will remember Lorna from the Monday evening Theravada classes she held at Sharpham House in Ashprington, Devon in the 1980s and early 1990s. 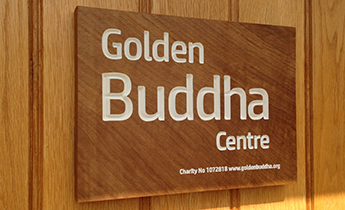 She was also a regular face at the Hartridge Buddhist Monastery in East Devon, and attended teachings at the Golden Buddha Centre in Totnes. Lorna, originally from Wales, travelled in her early years before settling for the rest of her life in Totnes, where the environment suited here chosen way of life. Her particular practice tended to be centred on the Theravada tradition, and she found the reality of that practice — not just as an outward technique or method — but actually within her own mind. She realised the nature of the mind for herself, and that inner realisation was reflected in her bright radiance, her natural humility, and her selfless actions. I wish these few words to be of some comfort to you on such a day as this. it served me well but that too is now to go the way of all flesh and to bid farewell. I have left this life for a different dimension in which Being is free from the confines of material existence. Thank you for the moments we shared. Live each day that is given you to the full, and contemplate the mystery that is life while there is time. The funeral ceremony was a very beautiful one that ended most appropriately with the chanting of Ajahn Jutindharo facing the coffin. We shall miss you, Lorna. Lorna died on 15th April 2018.